Cable with BFO signal for connection to LCD display. The R-390A's original detector is a simple diode detector. It is inadequate for SSB and marginal for AM, owing to excessive distortion. A product-detector is the preferred alternative. IC balanced-mixer product-detectors, designed for demodulation in TV and FM receivers, are available today and offer good performance at low cost. An asynchronous-detector, as applied to AM demodulation, is a product detector which uses a "hard-limited" copy of the AM signal, in lieu of a BFO signal, to mix with the original AM signal from the last IF amplifier. This offers almost all of the advantages of true synchronous AM detection, without its complexity and expense. TV receivers (before the digital revolution) almost universally used asychronous-detection, of the AM sound component of the NTSC TV signal, because of its simplicity and low distortion. For many years, product-detectors have been used in NTSC TV receivers and as quadrature-detectors in FM receivers. There are many low-cost product-detector ICs that were originally designed and made for these applications and are still available today. Some of them are usable for SSB and AM detection in the R-390A. The top picture shows the Product-Detector PCB installed in the underside of the R-390A's IF-module. The edge of the PCB near the sidewall of the IF-Module is loosely anchored by two stiff wires from ground-lugs already present in the sidewall of the IF-Module. The PCB is protected from shorting to the IF-Module because it is enveloped in clear, shrink-tubing. 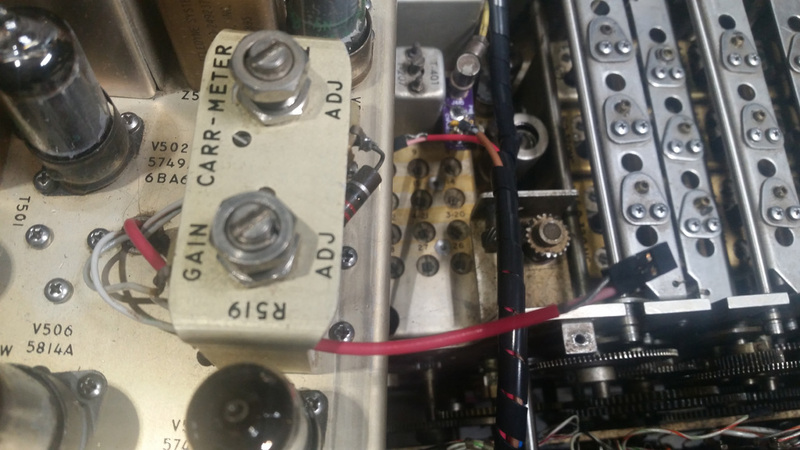 The bottom picture shows the new, BFO-Output cable (red) from the Product-Detector PCB, routed through the existing hole in the chassis and ready for connection to the LCD-Display's cable. 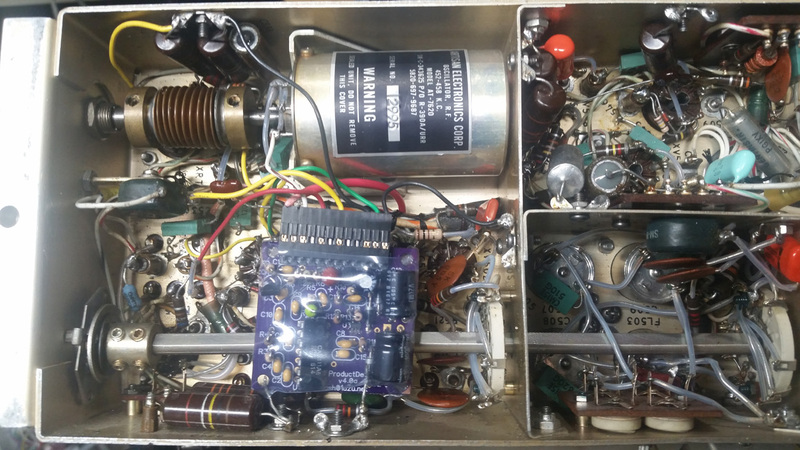 My kit also includes parts and instructions for installing Dallas Lankford's AGC modification that makes the R-390A AGC compatible with SSB by improving the attack-time. The original attack time was too slow. I simplified Dallas' modification a little, and the parts in my kit enable you to install the simplified version of Dallas' AGC mod. The operation of the AGC switch is still the same, with its selectable AGC hold-time. But the attack time is much faster and now works for SSB signals. Without the AGC mod, SSB is unusable even with a product-detector. Some collectors prefer to keep their R-390A all original. My philosophy is to minimize the physical modifications but enable the receiver to be useful. It is still restorable to its original, unmodified form, if ever required. This modification makes the receiver fully functional on SSB signals and other types of modulation encountered in the 21st century. The operation of the receiver is unchanged. The noise-limiter still works. The AGC system still works. AM vs. SSB is simply selected with the BFO switch, as you would hope. The receiver still works as the Collins engineers intended, only better. These modifications are invisible from the outside. The receiver looks all original. Only the performance reveals the mods.